Have you seen a Tree Steward in your community? If you are not sure, you may have missed some of the great events around our community. Tree Stewards are volunteers that have taken a tree intensive course and made a commitment to our community to dedicate 30 hours a year in tree related activities. 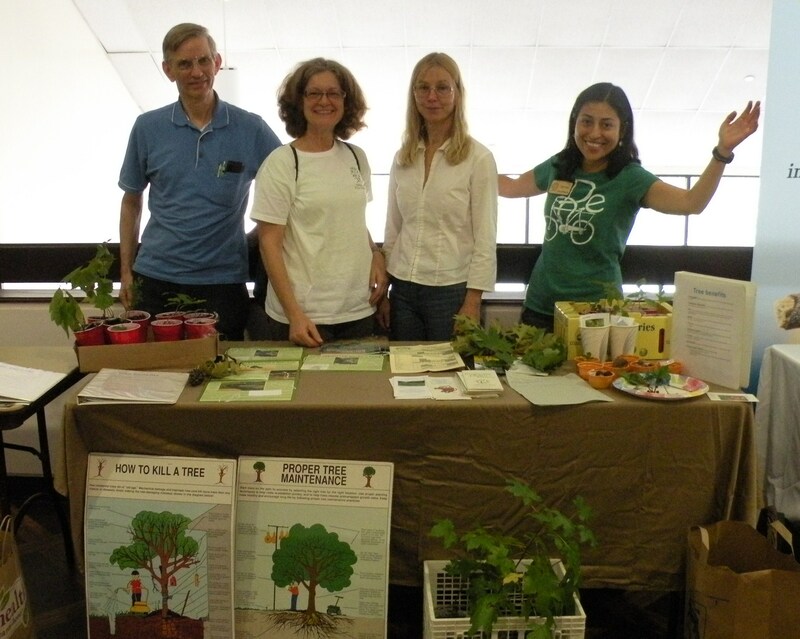 This year the Fairfax County Tree Stewards answered tree related questions at the Fairfax County’s Earth Day and Arbor Day celebration, Springfest; Ellanor C. Lawrence Park’s Treemendous Festival and at the Northern VA Community College’s Watershed Workshop. Tree Stewards were also active in native tree plantings around the area, including the one taken place at Springfest. Sometimes a Tree Steward’s work is less visible. Tree Stewards have provided support to the American Chestnut Foundation and the Smithsonian Institution in ongoing trials to restore the American chestnut to the Appalachian hardwood forests. The American chestnut population has been devastated by the chestnut blight, a non-native fungal disease. The fungal culprit was likely introduced by the importation of infected Japanese chestnut trees in the early 1900’s. By the mid 1900’s the once dominant American chestnuts were almost wiped out. Current efforts to restore this important species into our forest ecosystems have revolved around creating resistance to the chestnut blight. You can visit the American Chestnut Foundation’s website for more information. Next time you attend a community event, make sure to look for the Tree Steward’s banner. You might be surprised to learn the many ways that trees benefit us and our environment. Hope to see you out! October 8, 2013 in Volunteer.